Every website needs hosting. This is physical place that the website exists, be it cloud based, share or private your hosting could be likened to the place on the high street a shop is, and of course the shopkeeper has to pay rent to have that space, as does a website owner. Some hosting packages seem extortionate to us which is not helpful for start-up businesses or small enterprises and so we endeavour to signpost our clients to a reputable company whose hosting prices have remained at an affordable level. 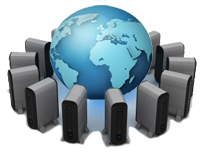 It is true that you can get hosting from anywhere, indeed a quick Google search will bring up thousands of listings however it is important that the hosting for your website is secure, provides on-going support and doesn’t suffer embarrassing downtimes. We highly recommend Webhosting UK to our customers and we have used them for several years as their service and reliability is second to none. If you are looking for better hosting then contact them to see if they can help you or similarly just ask us to sort everything out and we can do it all for you, including creating safe and secure passwords and regularly making backups of your site. Support 24/7 365 days a year means that if you need to change something, need help or simply have a query that there is someone there at all times to deal with your requests. Their security is nothing short of excellent. Not only do they ensure that passwords are secure your end, they are vigilant against hackers and the all-too disruptive computer virus and have strategies in place to eliminate the threat from both of these internet monsters. They are a UK company and it is always good to support a home grown business if you can. Their servers are well maintained so you don’t have unexpected downtimes (we have had customers come to us after being in the middle of a sale and their ecommerce website has gone down or they have been unable to advertise the site as it has been temporarily unavailable…. again. All of these clients have been more than happy with the quick and easy switcher over to Webhosting UK and the follow on service). Their servers are quick. There is nothing more frustrating than a sluggish website, and of course a slow running site is not going to be attractive to a potential customer. Running a website or an online business successfully is difficult if your website doesn’t work as it should, disappears from sight from time to time or is costing you too much in hosting. We want you to think carefully about whether you are happy with your current hosting package and if not, why you are paying for a service that doesn’t satisfy your needs. We will help put you on the right track.